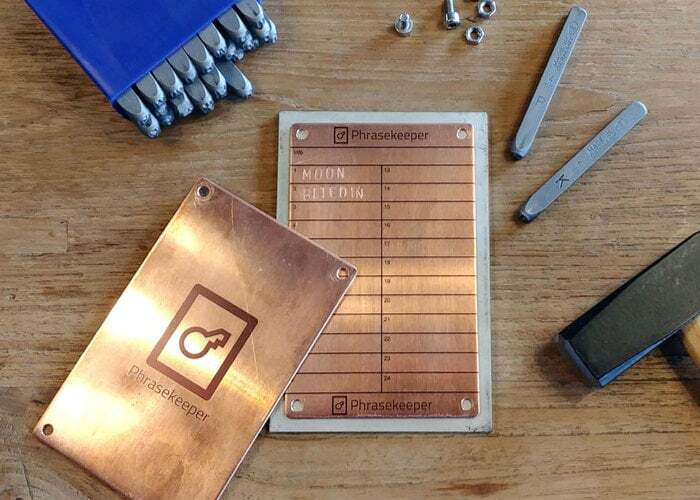 German designer Martin Gauer has designed a functional crypto wallet password storage system aptly named the Phrasekeeper which allows you to punch your cryptocurrency wallet passphrase or private key into sheet-metal to keep it safe and off-line. Watch the demonstration video below to learn more about the Phrasekeeper crypto wallet backup solution, Which is now available to back via Kickstarter with earlybird pledges available from €45 or roughly £39. If all goes well and the Kickstarter campaign is successful worldwide shipping is expected to take place during February 2019. More details and a full list of all available pledges, jump over to the official Kickstarter campaign page by following the link below.